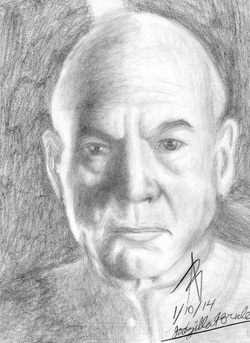 I decided to do a portrait of Patrick Stewart. Unlike the previous portraits, something was off and always bugging me when doing this one. I do, however, like how the shading came out.